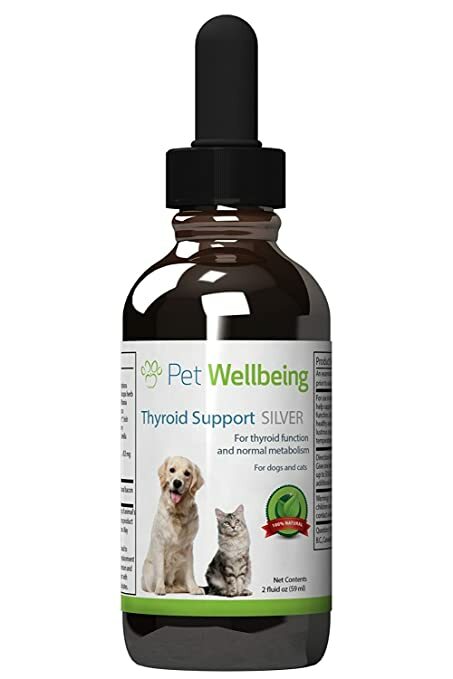 Thyroxolin or Natural Remedies for Hypothyroidism in Dogs - What to buy? Is your dog suffering from hypothyroidism? Then you are on the right page!! This article will make you aware of the “less known” facts of the disease (in relation to treatment and prevention of the condition). This is a condition seen in both humans and dogs. Canine hypothyroidism is an endocrine disorder, where the dogs thyroid gland cannot produce enough hormones. This is most common in certain breeds like Labradors, Golden Retrievers and Rottweilers. I have a 5 year older Cocker Spaniel with hypothyroidism. Her name is “Tesla”. She is overweight (weighing) about 55 pounds. Tesla walks only a couple of steps. She has difficulties in getting up. There should be someone behind Tesla to help her all the time. Behavioral changes like depression, aggression. The disease is the result of genetic predisposition. Hypothyroidism can be also caused by an autoimmune mechanism. Where the body attacks its own thyroid tissue. Such a condition is called as “autoimmune thyroiditis”. What Are The Other Reasons For Hypothyroidism ? Many times we fail to give our dogs a healthy diet, rich in minerals (like zinc and iodine). Instead we go for carbohydrate enrich packaged foods. Such foods can increase the risk of hypothyroidism in our dogs. T3 and T4 (thyroid hormones) assist with the functionality of the body’s major organs. It is necessary to consume around 70 µg of iodine to produce these hormones in the thyroid gland. Hyperthyroidism is difficult to understand. It can be understood only through blood tests. The most common is the T4 test which checks the level of T4 hormone in our dog’s blood. Dogs with damaged thyroid gland produce low level of this hormone. Second, is the TSH (Thyroid Stimulation Hormone) test to determine the thyroid functioning. Malfunctioning of thyroid gland produce more number of TSH to stimulate the damaged gland. “ An ounce of prevention is worth a pound of cure”- said by Benjamin Franklin. Feed your dog with raw wholesome diet. Include essential elements like iodine in her food. Moreover, try to rely on natural and herbal treatments rather than using drugs and chemicals. Omega oils are good for the condition. Take the dog for regular monthly checkups. There is no complete cure for the disease. An hypothyroidic dog has to rely on medication for the rest of his life. Long term medical treatment can have many health perils like kidney and liver damage. Its always better to go for natural treatments with less side-effects. Helps to rejuvenate the thyroid gland and the endocrine system. Normalizes blood sugar and blood pressure level. Maintains thyroid, adrenal gland functioning. Provides essential vitamins like A, B, C to the dog’s system. This is a seaweed seen in ocean waters. Sea vegetable is a rich source of iodine required to produce thyroid (T3 and T4) hormones.